Marine geophysical company Polarcus Limited announced Monday that its subsidiaries have entered into a memorandum of agreement with Sovcomflot GEO (SCF GEO), to provide 4D marine seismic acquisition services in the Far East for a major exploration and production company.The program requires two Polarcus ICE-1A class vessels and will commence in Q2 2019 running for approximately three months, a total of six vessel months, Polarcus said.The company expects contractual arrangements and associated third party approvals to be finalized before the end of January 2019. 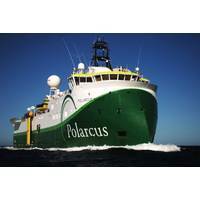 Offshore geophysical company Polarcus Limited announced Monday that it has received a contract award for an XArray marine seismic acquisition project in West Africa.The project will commence in Q1 2019 with an approximate duration of two months.Polarcus said that with the award its fleet is 90 percent booked for Q1 2019. Marine geophysical company Polarcus Limited said it has been awarded a 3D marine seismic acquisition project in South East Asia.The project duration is approximately four months and is scheduled to commence in Q4 2018.Following this award, the Polarcus fleet is 100 percent booked for Q4 2018. Seismic vessel owner Polarcus Limited said it has been awarded an XArray 3D marine seismic acquisition project.The project duration is for up to 10 vessel months and is expected to commence in Q3 2018, providing backlog for two vessels throughout Q4 2018 and in to Q1 2019. 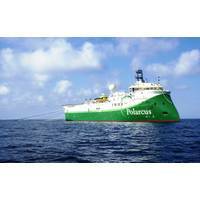 Polarcus Limited said it has entered into a contract for a 4D marine seismic acquisition project in West Africa. The project is due to commence in Q2 2018 and will run for approximately one month. 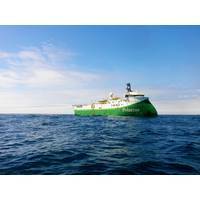 Polarcus Limited said it has received a letter of award for the acquisition of a 3D marine seismic project in South America. The project will commence in Q1 2018 and has a scheduled duration of approximately 2 months. Polarcus Limited has been awarded a XArray 3D seismic acquisition project in South America for an undisclosed client. 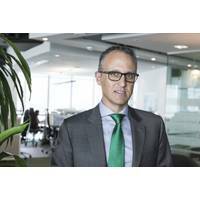 Polarcus said the project will commence in the fourth quarter of 2017 and run for approximately 10 weeks. 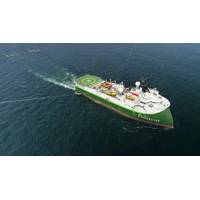 Polarcus Limited said it has received a Letter of Award for a broadband 3D marine seismic project in Asia Pacific. The project is due to commence in Q4 2017 and will run for approximately one month. 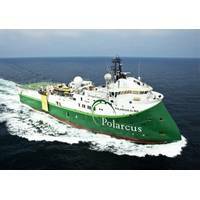 Polarcus Limited said it has secured a contract for a broadband 3D marine seismic project in Asia Pacific. The one-month project is due to commence imminently and restores backlog in Q3 for the Polarcus fleet after part of a previously awarded project was reduced in scope. 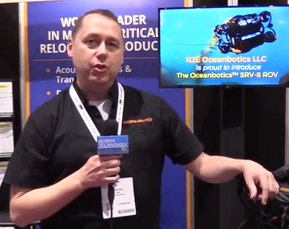 Polarcus Limited said it has received a letter of award for a broadband 3D marine seismic project in Asia Pacific. With this contract, Polarcus’ fleet is fully booked through to the end of the third quarter 2017. The project is due to commence in the third quarter of 2017 and will run for approximately one month.